434, Lot: 334. Closing Dec 12, 2018 at 11:51:20 AM ET. Hadrian. AD 117-138. Æ Sestertius (30mm, 26.02 g, 6h). Rome mint. Struck circa AD 134-138. 434, Lot: 343. Closing Dec 12, 2018 at 11:54:20 AM ET. Antoninus Pius. AD 138-161. Æ Sestertius (33.5mm, 27.48 g, 6h). Rome mint. 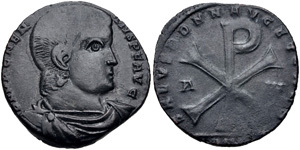 Struck circa AD 141-143. 434, Lot: 344. Closing Dec 12, 2018 at 11:54:40 AM ET. Antoninus Pius. AD 138-161. Æ Sestertius (33.5mm, 23.52 g, 11h). Rome mint. Struck circa AD 141-143. 434, Lot: 353. Closing Dec 12, 2018 at 11:57:40 AM ET. Antoninus Pius. AD 138-161. 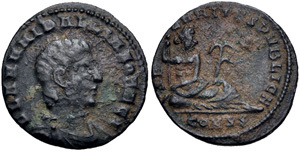 Æ Sestertius (32.5mm, 22.85 g, 12h). Rome mint. Struck AD 159-160. 434, Lot: 385. Closing Dec 12, 2018 at 12:08:20 PM ET. Lucilla. Augusta, AD 164-182. AR Denarius (19mm, 3.06 g, 12h). Rome mint. Struck under Marcus Aurelius & Lucius Verus, AD 161-162. 434, Lot: 394. Closing Dec 12, 2018 at 12:11:20 PM ET. Commodus. AD 177-192. Æ As (26mm, 8.58 g, 6h). Rome mint. Struck AD 183. 434, Lot: 403. Closing Dec 12, 2018 at 12:14:20 PM ET. Commodus. AD 177-192. AR Denarius (17mm, 2.48 g, 12h). Rome mint. Struck AD 190-191. 434, Lot: 407. Closing Dec 12, 2018 at 12:15:40 PM ET. Commodus. AD 177-192. Æ Sestertius (31mm, 23.50 g, 6h). Rome mint. Struck AD 192?. 434, Lot: 421. Closing Dec 12, 2018 at 12:20:20 PM ET. Trajan Decius. AD 249-251. AR Antoninianus (22mm, 4.41 g, 6h). Rome mint, 3rd officina. 3rd-4th emissions, AD 250. 434, Lot: 428. Closing Dec 12, 2018 at 12:22:40 PM ET. Hanniballianus. Rex Regum, AD 335-337. Æ Follis (16mm, 1.49 g, 6h). Constantinople mint, 2nd officina. Struck AD 336-337. 434, Lot: 429. Closing Dec 12, 2018 at 12:23:00 PM ET. Magnentius. AD 350-353. Æ Double Centenionalis (24mm, 5.45 g, 7h). Ambianum (Amiens) mint. 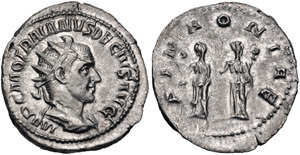 Struck AD 353.